We have been so spoiled with such a mild winter and being even more spoiled by an early and warm spring. It has been so much fun to get outside to play, do yard work, go for walks, play at the playground and enjoy lots of bonfires with s’mores. Dave has gotten most of the yard raked and ‘cleaned’ up. I’m ready to do some landscaping, planting and gardening. 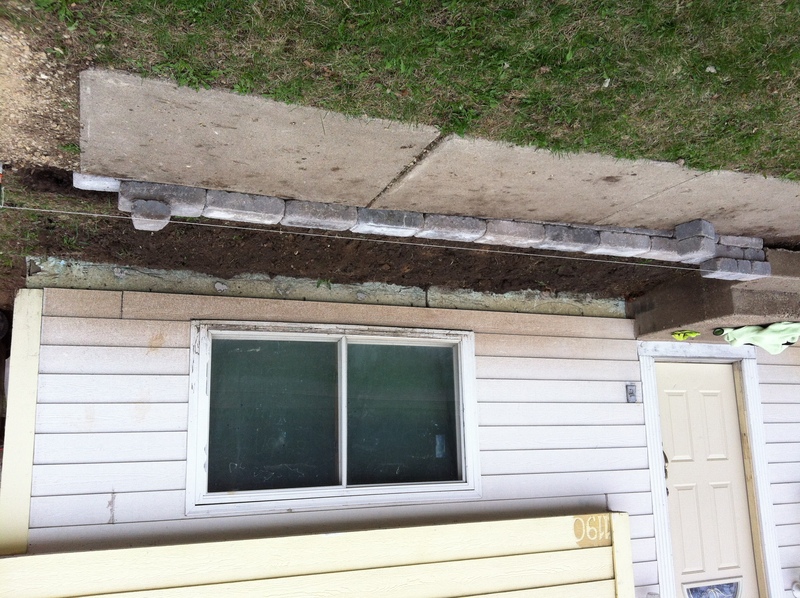 We bought some landscaping stones last fall to put in along the sidewalk and we put most of those stones in last week and hope to finish it up this week. It looks wonderful, certainly makes the front of the house much nicer looking. Below is a picture of it in the partial stages. I hope to get a picture up in its finished stage soon. The garden location will be moving this year to a different location. We are moving it to the back, center of the yard. It will get more direct sunlight, which will hopefully help it to grow better this year. We also need to dig down into the ground to lay some netting under the soil to help prevent critters from eating the roots of my plants and killing them. Another garden biggie this year is going to be putting up a fence around it to keep out other critters. Not a whole lot survived in my garden last year due to critters. Hopefully this year will be more bountiful. In other good news…we’ve made some major headway with Eli’s potty training success. He has very few accidents and is doing a good job of telling us when he has to go potty (and sometimes even poop). He has been getting A LOT of M&M’s. Each time Eli gets on the potty, Noah points to the M&M’s and says, “M”. Noah gets an M&M each time Eli gets 1 (sits on the potty), 2 (goes potty) or 3 (goes poop). Lots of M&M’s in our house right now. Speaking of…we need to buy more. In some more other good news…Noah is almost completely OFF his need for his pacifier. Sometimes during the night we’ll give it to him to help him fall back asleep. Otherwise he doesn’t need it for falling asleep at nap time and bedtime any more. Whoohoo! !